The troubled Main Street bar outside of which two men were wounded in early November has received 11 violations for, among other infractions, illegal activity, according to municipal records. Mo’s Low Cost Liquors and Bar received repeated citations for drug activity. It received three violations for allowing marijuana and ecstasy on premises. In one instance, police cited the business for allowing a machete on premises. In November, drug activity at the liquor business at 620 Main Street led to a shooting that injured one patron and a bystander, according to records. Police arrested the suspect responsible for the shooting. The business was also cited for selling hard liquor in violation of state laws. Violations were issued between May and November 2017. The 11 charges against the business was scheduled for a hearing last week before the municipal liquor board; however, officials postponed the hearing. An attorney for the board said the business has racked up other violations. Officials want to address all the violations at once, said the attorney. 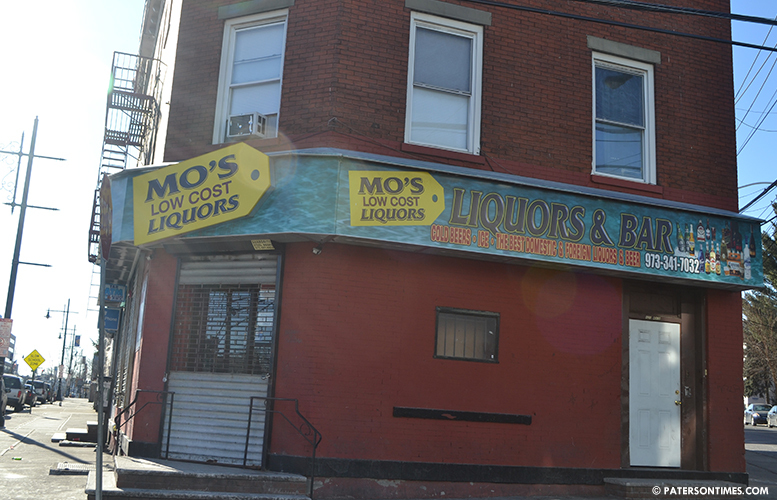 Mo’s Low Cost Liquors and Bar was previously suspended for 30 days in 2016 for selling to underage patrons and operating while suspended. The bar has been blamed for violence in the corner of Main and Weiss Streets. Police have identified the intersection as a high crime zone and recommended it be added to the hotspot business curfew ordinance. If added to the business curfew ordinance the bar will be forced to close at midnight. You cannot control patron behavior. How do you know they have ecstasy or marijuana on them? Have airport style security and a drug dog at the door? That just comes with having a liquor store in Paterson…short of banning liquor stores (which the shariah lovers and evangelicals would love) in Paterson you cant avoid this..
You can't avoid this but you can control it, the hell is wrong with you , you don't even sound right. How are you going to control it? have drug dogs and airport security? I used to work in a bodega and often a dealer and customer would come in do a deal then buy cigs and a soda and then leave going their separate ways. The owner didnt allow drug dealers inside or to hang out outside his store but 2 paying customers come in and cant refuse them. My old hang out… If you are cutting through here (pit stop) chances of succeeding in life should be ok.. But if you hang out here everyday, then chances of landing in jail/prison with low to medium chances of succeeding in life will be pretty high..
Close this place down. I use to play pool in a league and this bar was one of the bars we played against. Dangerous looking place. hated playing here. Women who should be home with their children hanging around here looking for free drinks, "CK".